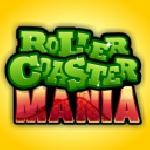 Build your own amusement park in Rollercoaster Mania! Attract visitors with rollercoasters. Sell them food for extra money. This Website is not affiliated with Rollercoaster Mania. trademarks are the property of their respective owners. Game content and materials copyright Rollercoaster Mania. all right reserved.